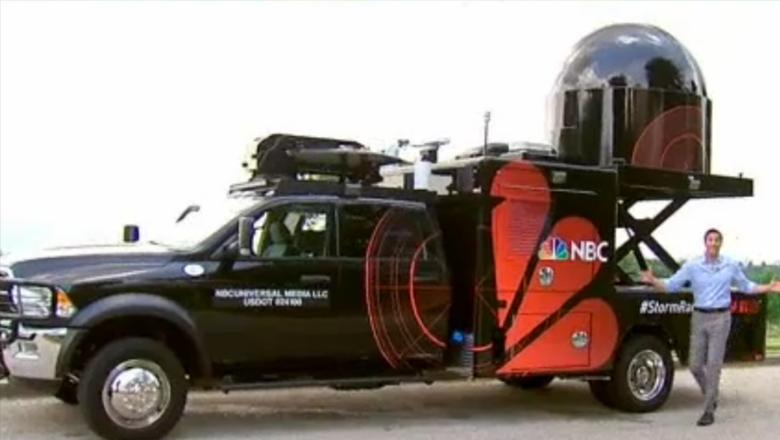 NBC and Telemundo’s owned station group has been honored with a technology and engineering Emmy for its mobile radar vehicles. 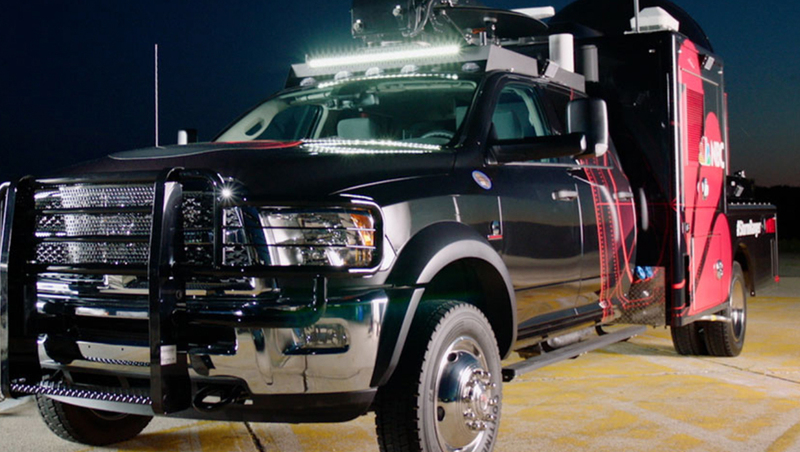 The vehicles, branded as “StormRanger” on its English language stations and “CazaTormentas” on Spanish language ones, feature a mobile X-band weather radar system. The first StormRanger hit the road in 2016, with additional ones deployed in 2017. The fleet now boasts six vehicles that are shared among NBC O&Os across the country. NBC moves the vehicles between markets as needed. Each vehicle is equipped with a dual polarization doppler X-band radar that complement the fixed X-band radar system NBC uses in Southern California and high frequently S-band radar systems in the New York, Chicago, South Florida and Dallas-Fort Worth markets. In Dallas, StormRanger is part of a sub-fleet of conveyances that includes “Thunder Truck,” “Lighting Truck” and the “SkyRanger” helicopter. StormRanger vehicles have already made an impact on NBC stations’ forecasting. In Texas, the vehicles have helped forecast the development of storm cells minutes before they’re picked up by traditional radar. New England forecasters use the vehicles to gauge the intensity of winter storms — including wind and snowfall, while Southern California have found that they can use the StormRangers to distinguish between smoke and smog during wildfires. The StormRanger vehicles were designed and engineered by NBC and Telemundo with Accelerated Media Technologies providing the assembly and Enterprise Electronics Corporation providing the radar gear. Viewers can follow @StormRanger on Twitter or visit this nbcstormranger.com for more details. There are also Facebook and Instagram accounts for the fleet.